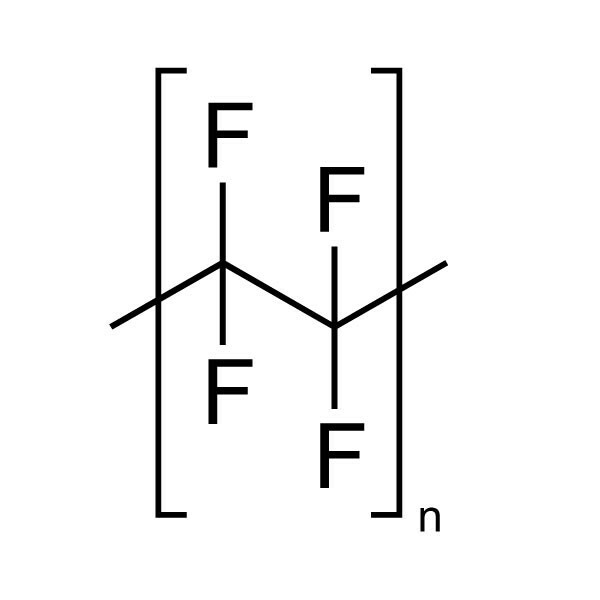 This inert, non-ionic Polytetrafluoroethylene (PTFE) dispersion can be used for applications that require excellent chemical and temperature stability. Typical uses include electronic and metallic surface coatings, anti-drip additive for plastics, and binder for battery anode/cathode matrixes. Can be used anywhere a highly inert, stable, non-stick coating is desirable. This dispersion uses nonionic surfactants to maintain PTFE in aqueous solution. The water can be removed at 120°C; wetting agents at 270°C; and melted above 337°C. PTFE will retain its properties up to 260°C.